It’s November; and that signals two things for me: the start of my annual holiday baking frenzy and the drafting of my holiday wish list. The craziness of the holidays clearly extends beyond my personal life and into my professional life, and this got me thinking about the treats and gifts that (some) companies give to employees. There’s been a flurry of articles lately about the changing scope and nature of employee benefits (read: fabulous perks). The recent NY Times and Huffington Post articles come to mind first, and these intriguing pieces inspired me to conduct an impromptu study of my own. In the poll that I conducted (full disclosure: it consisted entirely of my friends, family, colleagues and a few people I met at my neighborhood coffee shop), a whopping 0% cited turkey as their favorite part of Thanksgiving Dinner. The remaining 100%, cited a side or dessert dish as their favorite (if you’re wondering, stuffing was first, followed by pie). The results were nearly identical when I asked the “survey participants” about their favorite part of their job. Nearly all provided an answer other than salary and health insurance. I heard a lot about the flexibility to work from home, paid maternity leave, support and interest from senior executives, free coffee and food – and from my Seamless colleagues, an awful lot about Ping Pong and Playstation. 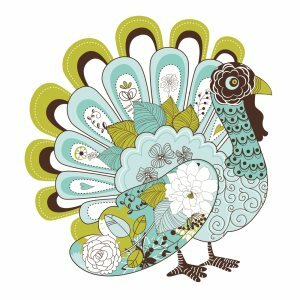 In the recruiting and HR world, the Turkey represents traditional compensation packages– you know, things like salary and health insurance that are status quo and people assume come with a job but likely aren’t tweeting about. People’s favorites are the items that act as the delicious side dishes: awesome office space, really smart colleagues, company paid cell phones, meal perks, and tax-advantaged commuter benefits. If you work at Airbnb, you’ll even enjoy a dog-friendly work environment. But like the best Thanksgiving side dishes, the best perks reflect a company’s culture and go a long way toward making the company a successful enterprise. While not every company has the deep pockets of Facebook to fund an over-the-top perks program, every company can think about their distinct culture to create a few perks that employees will love so that they too will show the love back in terms of business success. Here are three examples of cost-effective company perks that go a long way toward fostering an inspired and productive work environment. Encourage Employee Referrals, with bonuses. According to the 2012 Jobvite Index, referred employees are 20 percent more likely to remain with a company for two or more years compared to people found through job boards. To be honest, I would have put that estimate even higher and here’s why: Candidates who come in through referrals tend to know a lot about the company and culture before walking into the interview, so they have a good sense of what it is they’re getting themselves into. To that point, they are apt to hit the ground running quickly and excitedly. Secondly, employees know that referrals are a reflection on them, and therefore tend to only refer someone they think will be a great fit, both professionally and culturally. No one wants to be the person who recommended someone who proved to be a disappointing performer. Take a Break from Work. From volunteering efforts and poker tournaments to cook-offs and softball teams, spending time with colleagues outside of work is priceless. An important lesson I’ve learned is to not just hold these events after work, as it limits the number of attendees (employees have to get home to their children, some have long commutes ahead of them, you know the drill). Without taking too much time away from a productive work day, also try to incorporate some of these events into the work day (perhaps over lunch?) as it pulls everyone away from their desk with an opportunity to engage with one another. Don’t have the time to create a program from scratch? No need, there’s plenty of companies to help with that. Check out the Hercules Trophy, think Amazing Race during work hours. Break Bread Together. Companies like Google and Facebook (among many others) recognized the benefit of feeding their teams early on and, today, food as a perk has extended far beyond the tech community. Like paying bonuses on employment referrals, food is a mutually beneficial perk. Free food keeps employees happy and engaged, and equally importantly, it keeps them at the office and working. It doesn’t have to be free food all the time, but even the occasional bagels at a morning meeting, easy ordering and expensing options for people working late or a surprise pizza party now and again will go a long way. There’s no question that we all love to congregate around food, and it’s such a reliable perk as a means toward bringing people together to talk, collaborate and form meaningful relationships. The time and cost associated with food doesn’t need to cripple the organization. Several companies, including Seamless, offer solutions to help. So this Thanksgiving, when you’re enjoying your turkey and your sides, maybe ask your guests what they love most about their jobs. The responses may surprise you, and might get you thinking about the things your company can do to make your office a sweet place to work. Karen Miller is the Vice President of the People Team at Seamless, the leading online food ordering service that makes it easy to feed the office. Karen is responsible for defining and executing Seamless’ people and HR strategies in support of the company’s mission. Karen has more than 15 years of experience in organization development, including talent management, employee engagement, teaming, organizational change, performance improvement, communication, facilitation, strategy, coaching, and cultural transformation.